Start creating your own flowcharts with ConceptDraw DIAGRAM and accomplish great results in the moment. The software contains built-in object libraries of vector stencils that allow you use RapidDraw technology. Clicking on direction arrows you can add new objects to the flowchart. 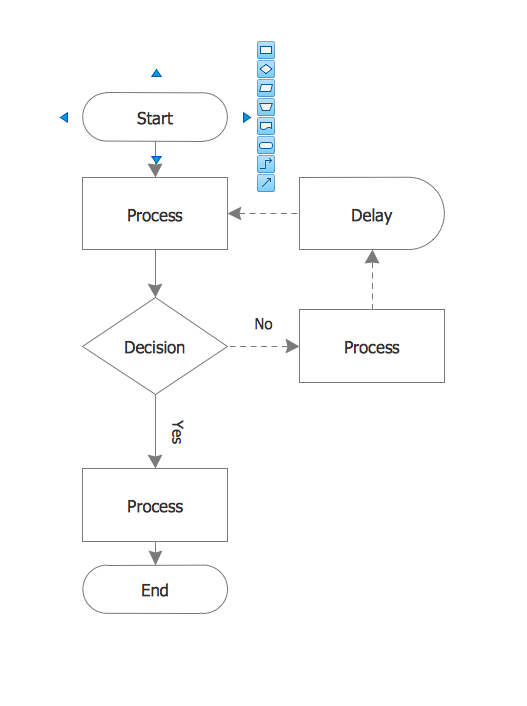 Users can start drawing their own flowchart diagrams in fast and simple way. With ConceptDraw Office ConceptDraw DIAGRAM provides you with the tools you need to generate reports documentation and presentations that entirely reflect project performance. The huge set of vector drawing tools can compete with any professional illustration program. Customizable Grid and Snap tools help to position your shapes precisely. Alignment, Distribution and Make Same tools will automate routine operations with multiple shapes. 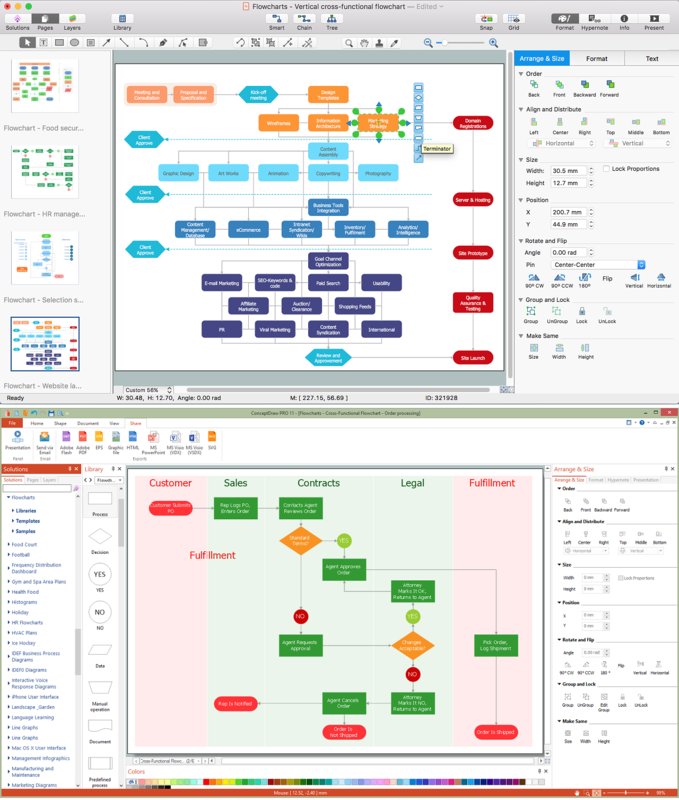 Wide collections of shapes and Cliparts help you create a different types of diagrams, such as Business Process, Network Diagram, Organization Chart as well as various sorts of technical drawings. Lines stay linked to their shapes, so you don't need to redraw your diagram every time you move something. Smart connectors can follow shapes around, as well as display gaps or bridges where they cross other connectors. Every shape can be turned into a connector. You can easily add connection points to any part of the shape. You can use unlimited number of layers to organize related shapes in one document page. Use one of the preset textures fill to create professionally looking objects.